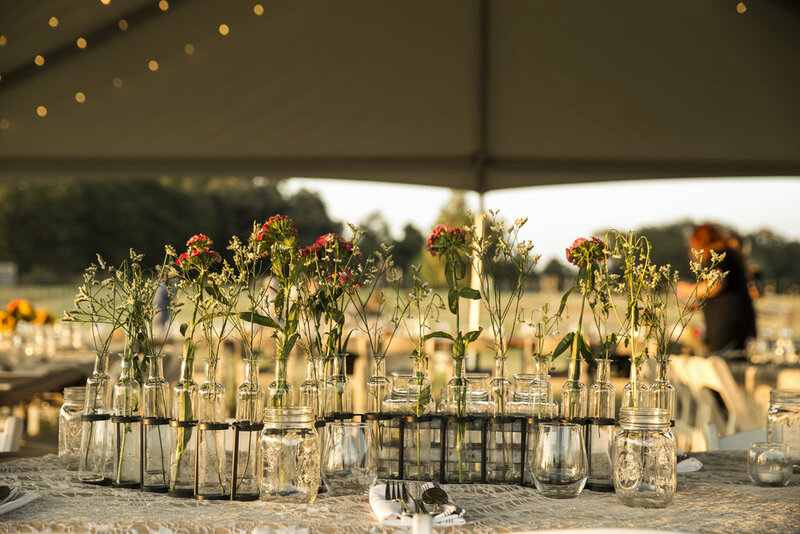 Make your next event amazing with our farm to table food and our team that will It make shine. The Prime from Scratch food trailer is available for catering throughout the DFW and North Texas area. Organic farm to table food made in our full kitchen food trailer with a wood-fired Italian pizza oven on the back patio. Our catering starts at $750+ tax and includes all the organic, sustainable ingredients and know-how to ensure your lunch, party, wedding, or other event has a unique atmosphere with a truly unique and customizable menu. What does your catering include? We are happy to create a personalized menu of beverages, cuisine, dessert and additional items to fully supplement your event. We can make custom cakes, provide a full service bar, and many other services. All plates, utensils, and napkins are also provided. We give you the option to provide your own. We also can provide table cloths and serving utensils to serve the food family style. Additional tables and chairs are available for rental. We will consider all requests to travel throughout the North Texas and DFW. Please note travel fees will apply over 30 miles of Flower Mound, TX based on distance and party size. The earlier you make a reservation, the better. All our catering events are booked on a first-come, first-served basis, and we’re particularly busy in the spring and summer months and on holidays. We generally plan for one event per day, and scheduling as far in advance as possible will help ensure your date is free. If the date you want is already booked, we do keep a waiting list and will notify you if it becomes available. Is there a minimum number of people required for an event? We are happy to serve all size parties with a proper menu offering. We will suggest a menu to fit your party size in our proposal. Do you need a final head-count immediately? We’ll only need to know your firm head-count one week before your event. Any cancellation will forfeit your 50% deposit unless done over a week before the event. Depending on the the pricing for your event any where from 20-50% of your total bill. Do you need to cancel in case of rain? We’re prepared for rain with a tent that will protect our work area and oven. We can arrange any additional cover from rain or wind to protect your guests. If you cancel due to downpouring rain, we reserve the right to offer only one rain date in the current year, or following year based on availability. Where do you need to park your truck? Our trailer is 24’L x 8’W x 12’H. We also work within various size tents. Please note that because of our wood-fired oven, we cannot park inside a garage or building, even if the space is large enough. We are able to park in driveways, parking lots, and even on grassy areas that are firm. What are some of the other requirements of the truck? A 220V or a 110V power outlet will allow us to operate without running our noisy generator. Can you make special requests like gluten free? We can cater to any dietary restrictions as needed. We offer our items on paper boats with checkered parchment paper with our normal food truck menu and we can also arrange any style of plates and silverware for your event. We are owned and operated by Prime Farm to Table Restaurant located at 5810 Long Prairie Road Suite 200, Flower Mound, Tx 75028. The restaurant changes their menu everyday based on the produce in season and what is sustainable. Since the we have a great base of operations our range of options for what we can do for an event is very open.